Wonderful photos this week. Love the wildflowers. :) Thanks for linking up. Have a great weekend. Love the clover, what a great find! Another amazing week, Friend :D Lovin' your guy and his bike. Also - YIKES....a Gator. I would freak! Great snapshots. Love the flowers and the old camera. Have a great day! great pictures. that 5 leaf clover is crazy. Great photos! I love the one of your son with his bike...we love dirt bikes around here too. Beautiful wildflowers...I can't wait until they start blooming in our area. Love all the green in your shots. Love the shot with the dirt bike. The warm weather just shines through these photos. Love the gator, but I'm glad we no longer live near where they live. 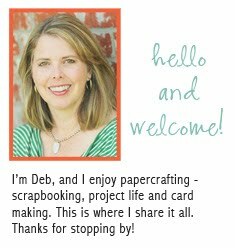 Deb- I am just LOOOOVING all the green in your shots! Makes me happy! Love your take on project 365. Beautiful pics with such vibrant color! And looks like you having a budding photog in the making. Wow! A gator and a 5 leaf clover in the same week. Exciting! And beautiful photos as always. Such a great color! Love the shot of you son with his dirt bike... my boys would LOVE that! Great shots! Have a great weekend. Beautiful. Look at all that green! We have snow on the ground, as of today. Yuk! I love your week! Such great colours - just what I needed now with another rainy and grey day outside!